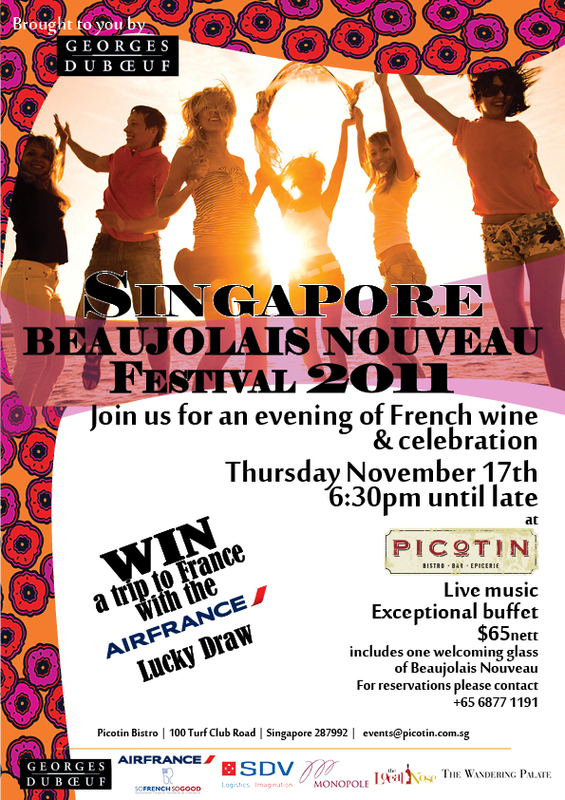 Its Beaujolais Nouveau release time again folks, with two parties organised for Singapore this year on November 17th, which happens to coincide with the Wandering Palates birthday! Beaujolais Nouveau now seems the ideal wine for a person like me, on the verge of a half century and careering towards a midlife crisis to feel vernal. 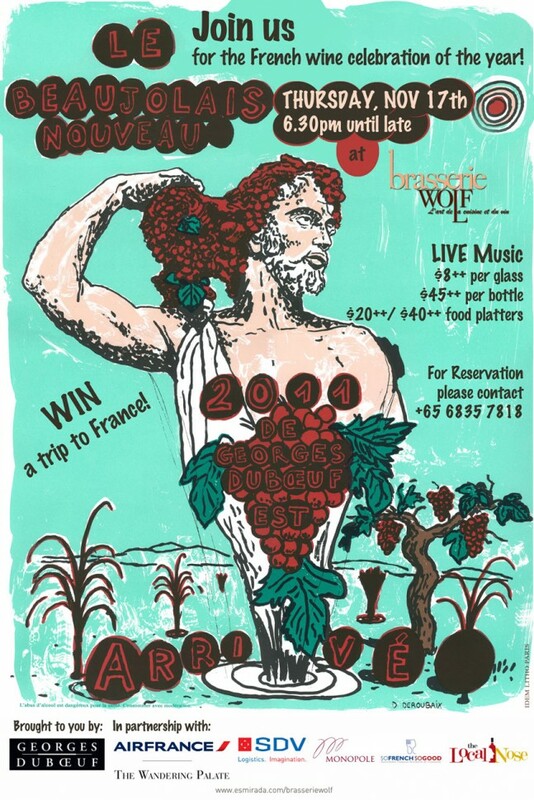 The vanguard of Beaujolais, Georges Duboeuf, will be launching their Beaujolais Nouveau 2011 at two venues concurrently this year: Brasserie Wolf, Robertson Pier and Picotin, Turf Club Road. See details below. The Wandering Palate will be at both parties… Taxi!